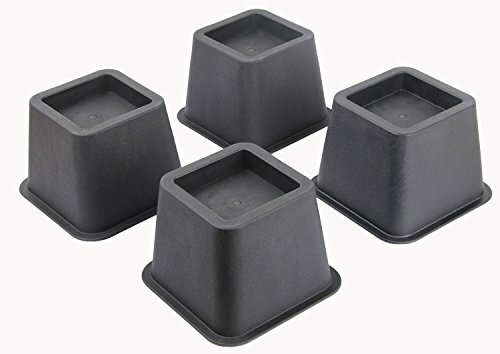 iPrimio Aluminum Bed Riser – 5.5 Inch Lift. 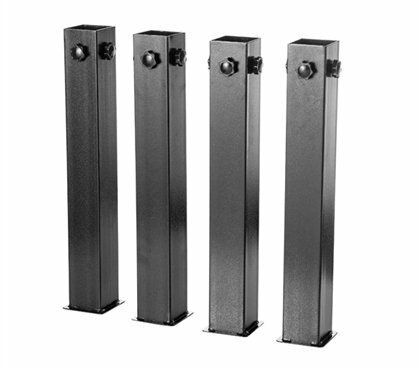 Supports over 9,000 pounds Per Leg, or 36,000 pounds. 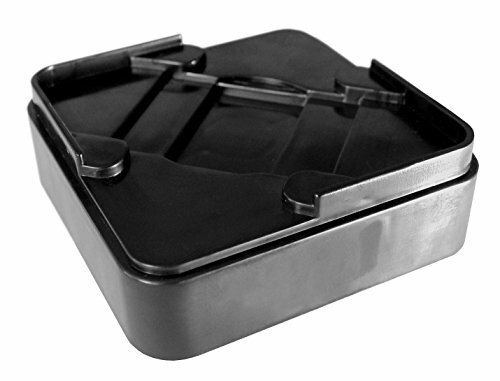 Safest and Sturdiest Couch, Bed, Desk Lift. Won’t Scratch Floors. 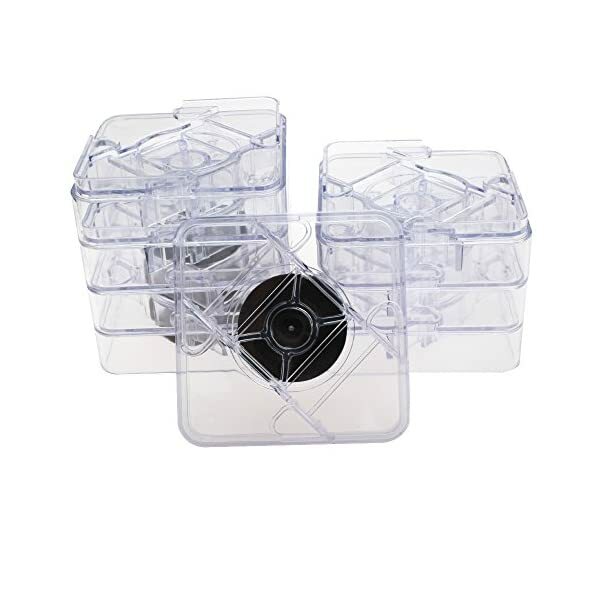 STABLE SQUARE DESIGN & EZ Vacuum: Square Design is Easier to Vacuum next to versus Round Designs. 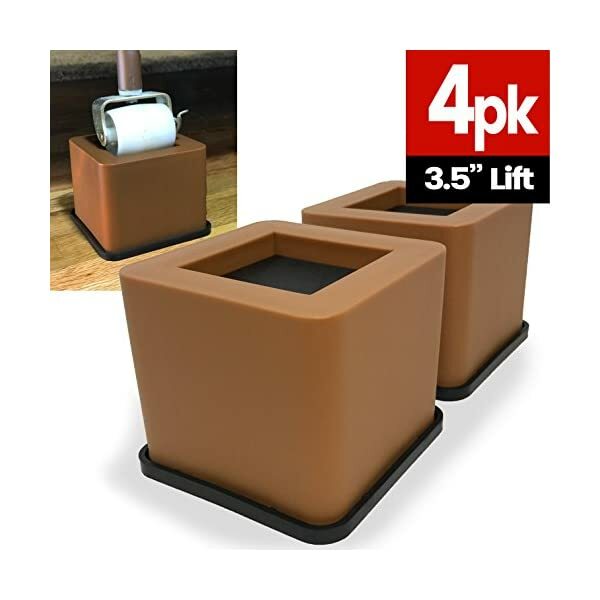 Lifts Extra Heavy Bed, Living Room Furniture, Desk Raiser, and Home Office Furniture. Stand Assist - Raise Height of Chair to Stand Up Easier. 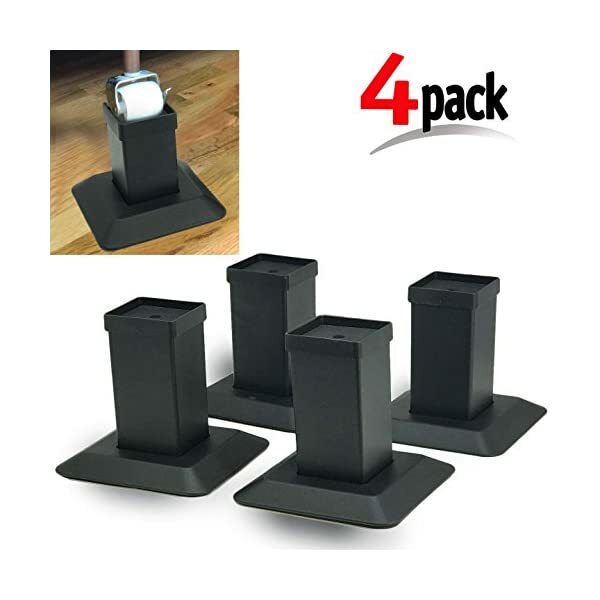 HEAVY DUTY: Risers can support a weight of up to 1,100 pounds (500kg) when combined as a set of 4 evenly distributed weight. 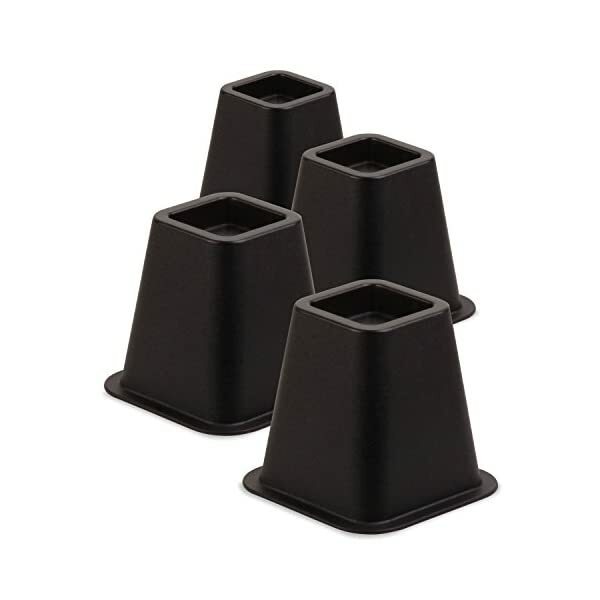 CUSTOMIZE YOUR SIZE: Whether its 3, 5, or 8 inches these bed risers will give you the option to find the optimal height for your needs. 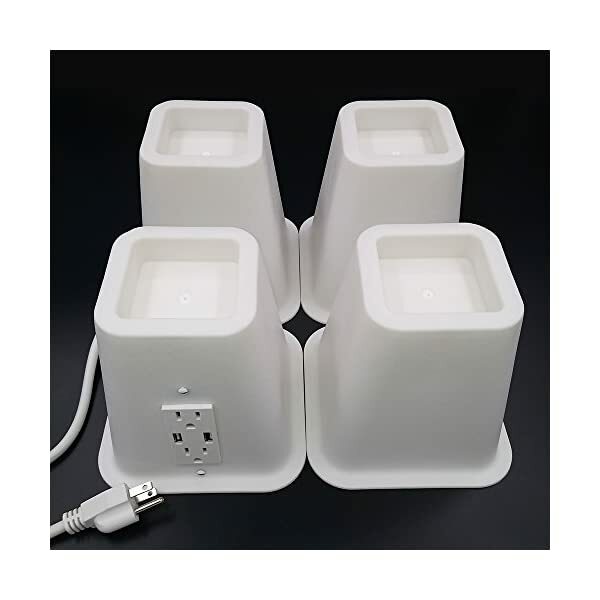 One bed riser features twin 110V, 3.1A grounded power outlets, as well as twin USB 5V DC outlets with charging. Convenient charging of handheld devices and light，1.8m wire cord plugs into the nearest outlet. 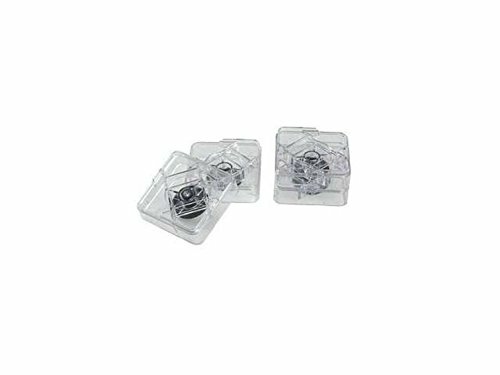 The USB Ports and Outlets all use high-quality materials, the panel passed ETL certification, the wire passed UL certification, absolutely safe! Imitation wood grain design. 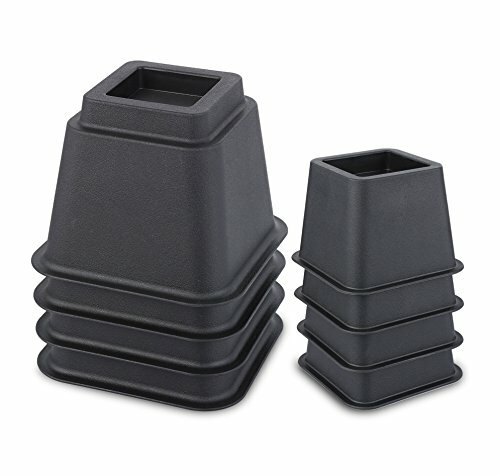 The bed risers are made of thickened durable clinker plastic with interlocking design for safe stacking! 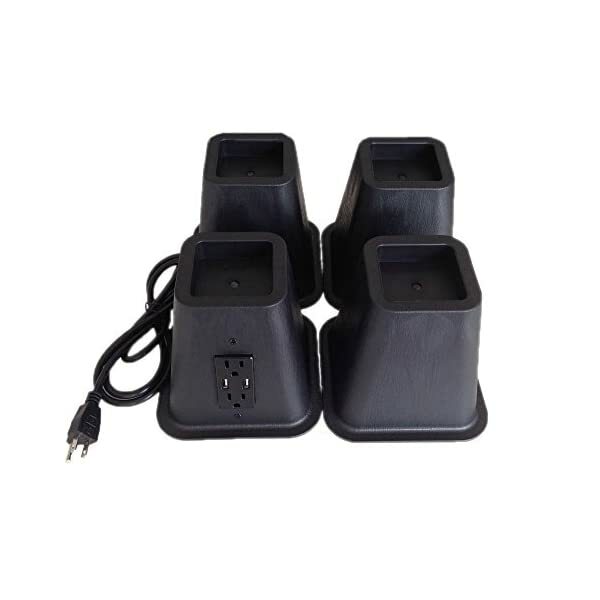 One bed riser features twin 110V, 2.4A grounded power outlets, as well as twin USB 5V DC outlets with charging. Convenient charging of handheld devices and light，1.8m wire cord plugs into the nearest outlet.